This method uses keratin tipped hair, which is fused with the client's natural hair via a low-heat melting process. Each strand of hair extension is attached to a small strand of natural hair. Each pack comes with 80 strands. For a treatment from short hair to long hair (full head) are up to 2 packs (80-160 strands) necessary. Using a pre-taped solution, the extensions are applied on the upper and lower surfaces of the natural hair strands, using prefabricated adhesive stripes (tapes) to achieve a long lasting connection. 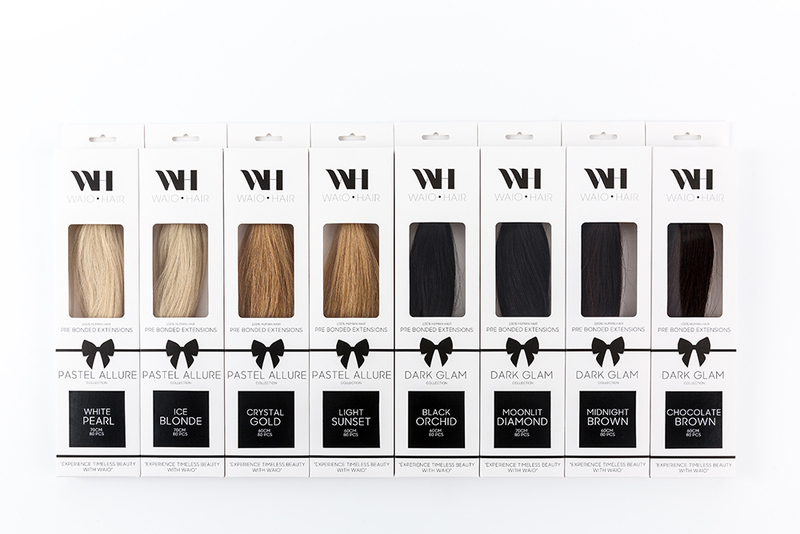 In contrast to other hair extension methods, this gluing compound is so flat and invisible that the extensions can be worn either high-staked or hanging and in many different styles. The adhesive connections between the hair and the extensions are seamless and absolutely light weighted. Each pack comes with 80 strands. Each tape is 4 cm x 1 cm. For a treatment from short hair to long hair (full head) are up to 2 packs (80-160 strands) necessary.